Christie® introduces its most powerful 1DLP projector line when the new Christie H Series is unveiled at Integrated Systems Europe (ISE) in Amsterdam (10–12th Feb). 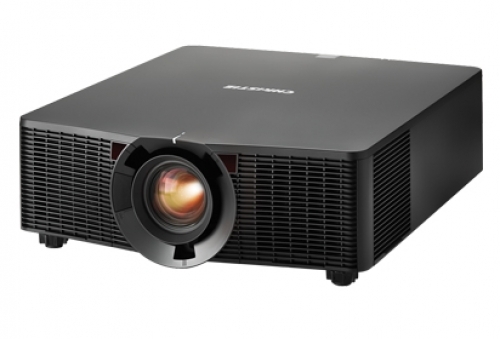 The new Christie H Series projectors feature 12,000 lumens and are the lightest, brightest and smallest projectors available in the 10,000-plus lumen 1DLP category. Weighing only 23.8kg each, the dual-lamp Christie D12HD-H and Christie D12WU-H are suitable for both mid-to-large rental staging and fixed applications including concert halls, auditoriums, hotels, boardrooms, education, government, conference rooms and houses of worship. The H Series continues Christie’s commitment to the 1DLP market with a lineup that already includes Christie G Series, GS Series and Q S​eries – along with the new Christie H Series offers users a broad range of performance and value with nineteen 1DLP solutions.